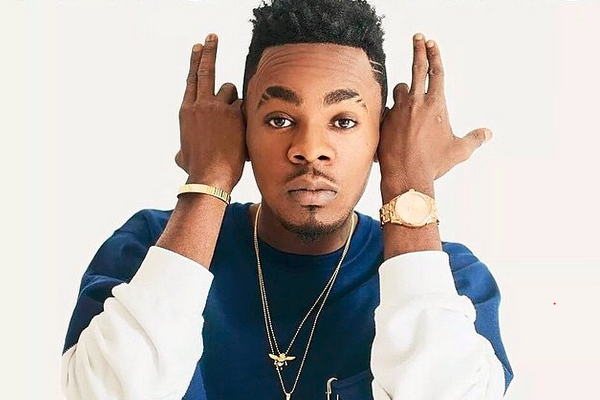 Patoranking has disclosed how Ghana has helped him shape his career as a Dancehall musician. The Nigerian multiple hit maker over the weekend held a media and stakeholders launch of his album GOE (God Over Everything) at the Best Western Premier Hotel in Accra, at the launch Patoranking who was thankful to Ghanaians for supporting his music career revealed that he came into the country to pursue his education and music career, although he dropped out of school along the line, his passion for music kept him on the streets of Accra. According to the “Girlie o” hit maker his stay in Ghana both as a student and a musician was tough but the lessons he gathered were worth it and it is by this training he has attained the success he is enjoying now. Speaking at the media and stakeholders launch of his GOE album, Patoranking stated that he learnt most his musical lessons in Ghana and also discovered that the country is blessed with many music talents. He affirmed that he moved purposely to Ghana because Dancehall as his genre of music is much appreciated in the country and it will be a great opportunity to launch his career. Somewhere in 2009 the VP records signee moved back to Nigeria with the hopes he could re-launch since that couldn’t materialize in Ghana. Low and behold he had a massive breakthrough due to the lesson he learnt in Ghana, his ground breaking hits “Alubarika” and “Girlie o” brought him back to where he picked his foundation (Ghana). “I had to come back to where it all stated”, he said. Patoranking shared memories of days he had to listen to radio personalities like Blakk Rasta and Mr. Logic and Nana Kwame (Soul Man) because of the kind of songs they played and the lessons they taught in air. Also he recollected days with stonebwoy, Jupitar and some other artistes at “Bless The Mic” and other radio interviews. To Patoranking, GOE album basically reflects his hustle, the man he has grown to become and the goodness of God in his life all these years. His GOE album features some of Africa and Jamaica’s finest musicians, namely Sarkodie (Ghana), Kontians (Jamiaca), Ice Prince (Nigeria), Elephant Man (Jamaica), AKA (South Africa) and many others. Ghana’s very own Ball J, CEO of “New Africa Studios” also produced one of the songs on his album titled “Patoranking”. The event was graced by celebrities like Jupitar, Eddie Waston, Kaakie, PY, JMJ, and hosted by Joel.